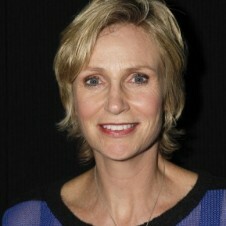 She’s recently divorced, but “Glee” star Jane Lynch is keeping a cool head about it. In an interview with Billy Bush for PopCrush, the 53-year-old actress said that she wasn’t ready to dive back into the dating pool but that single life was just “fine.” Lynch filed for divorce from wife-of-three-years Dr. Lara Embry, a psychologist, in July. Earlier this month, People magazine reported that Embry requested that Lynch pay her attorney’s fees and spousal support. Posted September 1st, 2013 & filed under Entertainment.